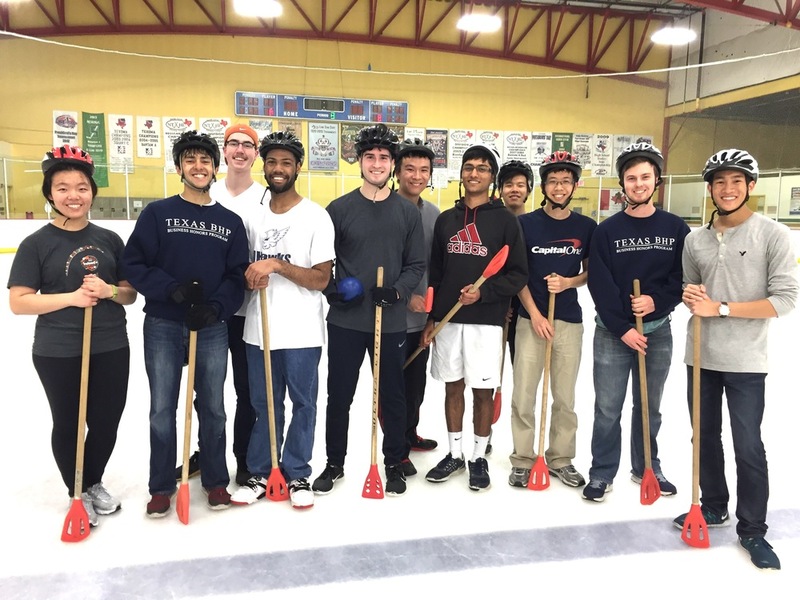 HBA made a midnight run to Chaparral Ice on Saturday, skipping skates for gym shoes in a fun game of broomball on the ice. Although walking on ice took a few minutes to get used to, members quickly picked up the tricks to navigating the slippery ground and put on their game faces for a few rounds of the recreational game. Helmets were a must, especially as player after player found themselves tumbling to the ground after some forceful passes. Sticks flew in the air, members fell on their butts, but it was all in good fun at the end of the night. Any guesses for which team (Blue or Red) won?